Council meetings are held on the last Thursday of each month commencing at 5.30 pm AND and a full day meeting commencing at 8.30am on the Wednesday two weeks and one day before the Thrusday meeting. Meetings are held in the Council Chamber at Council's Administration Centre—44 Princess Street, Macksville. 4 That following the election, the Mayor declares Cr…….elected as Deputy Mayor for the term of office expiring September 2013. Note: It is requested that the nomination be on the form especially designed for nomination purposes which is enclosed with the business paper (attached form). Where there are only two candidates (remaining) with equal votes the one elected is the one chosen by lot. By contrast, where there are three or more candidates and some are tied for lowest, the one excluded is the one chosen by lot. The Aboriginal Community Advisory Committee (ACAC) was formed in 1993 following the Building Bridges Program. In 2011/2012 the elected members were Councillor Ballangarry OAM and Councillor Flack with Councillor South as an alternate delegate. That the following two Councillors xxxxxxxxxxxx plus the Aboriginal Community Development Officer (in an advisory capacity) be appointed to the Aboriginal Community Advisory Committee and that it meet at least quarterly. In an advisory capacity, the meeting is attended by appropriate officers of Council (as are all Committees as required). The elected member representatives have been Councillors Smyth and South. That Councillors xxxxx and xxxxx be appointed to the Access Committee. 11 To encourage the involvement of people, health workers, Councillors, families and carers and other professionals and interested people to become involved in the Access Committee. The regional body works in conjunction with the Regional Arts Development Officer. Councils are represented on the regional body—Arts Mid North Coast. The elected member representing Council has been Cr Flack. That Councillor xxxxxxxxxx be appointed as Council's representative on the Arts Mid North Coast Board. The Councillor representatives have been Cr Flack and Cr South. That Councillor xxxxx and Councillor xxxxx be appointed as Council’s representatives on the Community Services Committee. · To advise Council on community services issues including those referred from Councillors, Council meetings, Council officers and the general public. · To analyse, help develop and advise on policy in relation to resource planning issues and general socio-economic changes. 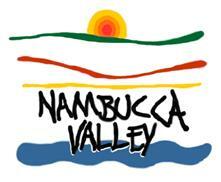 · To make recommendations regarding applications for grants for community services in the Nambucca Shire. The Committee’s brief is broad ranging covering the social aspects of the common approach to triple bottom line sustainable development (environment, social and economic). At Council’s meeting on 4 November 2010 it was resolved that all Councillors comprise the General Manager’s Performance Review Committee. The Department of Local Government recommend that a Committee be appointed to review the General Manager’s performance. Council does not have to appoint a Committee and instead the review can be undertaken by the whole Council. This year Mr Mark Anderson from the Local and Government and Shires Associations will be facilitating the General Manager’s performance reviews. This is in accordance with the Circular’s recommendation that there be training in performance management. The next performance review by the Committee will be October 2012. The Promoting Better Practice Review of Council’s operations recommended that Council consider the establishment of an internal audit function that might comprise a shared Internal Auditor and/or an Internal Audit Committee. Provision was made in Council’s budget for 2010/2011 for the employment of a contractor to undertake internal audit projects and it was resolved that Forsyths would provide this function for a three year period subject to the availability of funding. with Mr Paul Cornall from Forsyths (Council’s Auditors) the General Manager and Manager Financial Services to have observer status. The Division of Local Government has now advised Council that there is a conflict of interest in Forsyths being both its Internal and External Auditors. Whilst it is difficult to accept the conflict is significant or indeed much different to the conflict which exists with Internal Auditors being employees reporting to the General Manager, a direction from the Division of Local Government has to be implemented. Accordingly Council has to terminate the services of Forsyths as its Internal Auditors. At this stage it is proposed to seek expressions of interest for a new contractor to continue the program in 2013/2014. In the intervening period there is considerable work required to follow up the recommendations in the completed reports. It has previously been resolved that the Committee meet at least quarterly. The options are to have a Committee which comprises some, but not all, Councillors; to have no Committee or the recommendation for a Committee comprising all Councillors. Given the value of operational land in the property portfolio and its strategic importance to economic development it is recommended that there be a Committee. At Council’s meeting on 2 October 2008 it was resolved that all Councillors be appointed to the Land Development Committee. On 1 October 2009 it was resolved that the Committee meet at least quarterly. Council has an extensive property portfolio that comprises both operational and community land. Council has also successfully undertaken entrepreneurial investment in industrial land as a means of encouraging new industry into the area. Council resolved on 11 July 2012 as follows: "That when Council meets in September 2012 to review its S355 Committees that it consider establishing a Library Committee". The resolution was in response to a report to Council on the establishment of its own library service following separation from Clarence Regional Library (CRL). It is presumed that in making this decision, Council had seen establishing a library committee as a mechanism to support library services and promote community involvement. It is however recommended that the formation of a library committee be deferred at this stage whilst the newly appointed Senior Librarian devotes her time to the consolidation of the Nambucca Shire Council Libraries, as libraries in their own right now that they are no longer branches of the Clarence Regional Library. The issue could be re-visited during the next annual confirmation of committees and their delegates. In the meantime and as an ongoing arrangement, Councillor participation in library services can occur through the Public Libraries NSW North East Zone Meetings. (The late) Cr Moran OAM and Cr Smyth have been Council’s representatives on the Clarence Regional Library Committee with the Manager Community Services participating in an advisory capacity. Council may wish to endorse Cr Smyth (or another interested Councillor) to attend the two Zone meetings per year as its representative noting that the Senior Librarian would also attend. In regards to community engagement, the most effective and appropriate means will be looked into as the new library service becomes established. There are a number of options available. 1 That Council defers the establishment of a library committee to allow staff to concentrate on establishing Nambucca Shire Council library service and that the concept be the subject of a future report which would outline the opportunities and limitations of such a committee. 2 That Councillor xxxxxxxxxxxx be its representative at the Public Libraries NSW North East Zone Meetings and, together with the Senior Librarian, to report back to Council on matters of interest. Council is thanked for its show of support in recommending the establishment of a library committee however the staff are concerned about the effectiveness of a Committee, so soon after our separation from Clarence given that it would need significant resourcing to get started. Council committees are required to conform to proper procedures for business papers, recording minutes and reporting to Council. All this will take staff time that we don't have at the moment as the focus is on the establishment of the ‘back of house processes’ such as acquisition, cataloguing, staff skilling and budgeting previously performed on our behalf by CRL. We also need to focus on collection development given the access to a much smaller number of items than was available under the Clarence Regional Library. Also, the purpose of the committee should be clarified as it would be inappropriate for the committee to oversee operational matters. Further, if the committee was to act as a consultation mechanism, there are numerous, possibly more effective means, that Council can use. Community views could be canvassed through a number of marketing and promotion activities such as surveys accessed via the webpage and also in print (for those that may not have internet access), ‘Talk to a Librarian’ at your local library – usually over a morning tea, at both library locations. There is also the existing facility to make a suggestion/recommendation through the OPAC (On-line Public Access Catalogue). ‘Ask a librarian’ facility also enabled on the OPAC – mostly used for reference requests but is open to all kinds of questions regarding the library collections. The experience of other libraries is that these activities tend to be highly successful in libraries as people highly value library services and are active participants in their ongoing activities. A Friends of the Library Committee may be appropriate down the track but again only if the benefits outweighed the staff time it would take to resource it, given that there are many ways of engaging the community that don’t require a formal committee. Consideration is being given as to how to keep Council informed about the progress of developing its own library service. An officer’s report to Council on matters of interest would be appropriate and staff will discuss the frequency of such a report – possibly an annual report against the State Library benchmarks and a 6-monthly update. In terms of being connected to strategic developments in library services, attendance at the Public Libraries NSW North East Zone Meetings is highly recommended. The meeting which takes place twice per year is attended by Councillors and Council library staff from across the NSW north coast. At Council’s meeting on 4 December 2008 it was resolved to reconvene the Macksville Saleyards Advisory Committee to determine mid to long term operational strategies for the Macksville Saleyards. Council’s Property Officer (advisory role), Mr George Hicks OAM, Mr Tom Stanton, Mr Michael Jones and Mr Rick Andrews. Council resolved to transfer the Macksville Saleyards Advisory Committee the Nambucca River District Agricultural Association Ltd.
e to report to Council on the consideration and recommendations of the Saleyard Advisory Working Group. The elected member has been Councillor Ainsworth with the Mayor ex officio. That Councillor xxxxxxxxx plus the Mayor ex officio be appointed to the Nambucca Bush Fire Management Committee. At Council’s meeting on 7 October 2010 it was resolved that Councillor Ainsworth be appointed to the Nambucca Bushfire Management Committee. This Committee was formed in March 2007 and includes two Councillors with one of them to be the Chairperson. At Council’s meeting 15 September 2011 it was resolved that Councillors Ainsworth and Moran OAM be appointed to the Committee of Management. That Councillor xxxxxxxxxxx and Councillor xxxxxxxxxx and the Assistant General Manager Engineering Services be appointed to the Nambucca Emergency Operations Centre Committee of Management. At Council’s meeting on 7 October 2010 it was resolved that Councillors Ainsworth and Moran OAM be appointed to the Committee of Management. The Committee has included two Councillor representatives as Delegates. At Council’s meeting on 15 September 2011 it was resolved that the elected members be Councillor Smyth and Councillor Ballangarry OAM. That Councillor xxxxxxxxx and Councillor xxxxxxxx be appointed as Council’s delegates to the Nambucca Entertainment Centre Committee of Management. A single Councillor representative would suffice. Council can elect to have two or more representatives if it wishes. The Nambucca River Estuaries and Coastline Management Committee (NRCECMC) was established during 2007 after Council developed Terms of Reference and nominations were invited from interested persons. At Council’s meeting on 15 September 2011 it was resolved that Cr Ainsworth be the Chairperson with Councillor Court as alternate delegate. That Councillor xxxxxxx as the Chairperson and Councillor xxxxx as alternate delegate be appointed to the Nambucca River, Creeks, Estuaries and Coastline Management Committee. Council can adopt the recommendation, change the committee structure, or abolish the committee. These options apply to all Committees. a Provide comment and input into the future management of Nambucca LGA’s river estuaries, coastal floodplains, coastal zone and flood risks. b Review and comment on the various investigations and studies that are prepared to evaluate flood risk, coastal zone and estuarine management options. d Act as an conduit between the group/organisation they represent and the Council on coastal, estuary and flooding issues. e Provide a forum for open discussion, debate and education on coast, estuary and flood issues. In order to deal with the large number and range of traffic matters effectively, the Roads and Maritime Services (RMS) has delegated certain aspects of the control of traffic on local roads to this Committee. In the sense that Council does not control or determine recommendations from the Traffic Committee it is not a Committee of Council but rather a Committee which provides the RMS with local advice in relation to a range of matters. The Committee is composed of four formal members each with one vote. These four members are a representative from Council, the NSW Police and the RMS and the Local State Member of Parliament or his/her nominee. Council's representative and Chairperson is the Assistant General Manager Engineering Services. Former Councillor, Mr Barry Duffus continues to serve on the Committee as the representative of the Hon. Andrew Stoner MP. It is anticipated that this arrangement will continue. Council is a member of the North Coast Weed Advisory Committee. At Council’s meeting on 15 September 2011 it was resolved that Cr Ainsworth and Council’s Noxious Weeds Inspector be appointed to the NSW North Coast Weed Advisory Committee with Councillor Court as alternate delegate. That Councillor xxxxxxxxxxx and Council’s Noxious Weeds Inspector be appointed to the NSW North Coast Weed Advisory Committee with Councillor Court as the alternate delegate. The Committee meets quarterly in February, May, August and November. Contact is generally made by electronic communication, with agenda papers sent two weeks prior to meetings and minutes of meetings made available as soon as practicable after the meetings. At Council’s meeting on 15 September 2011, it was resolved that the Plant Committee comprise Councillors Ainsworth, Finlayson, (the late) Moran OAM and South with the Mayor ex officio. An Engineer, Mechanic, Overseer, and a representative of the Finance Section also attend to provide information and answer questions. That Councillors xxxxxxx, xxxxxxxxx, xxxxxxx and xxxxxxx be appointed to the Plant Committee with the Mayor ex officio. The Committee can be reappointed, its membership changed or it can be discontinued. These options exist for all of Council’s committees. In recent years the plant replacement program has been significantly affected by budget cuts and relatively few items of major plant have been purchased. In any event, the program is reviewed in the preparation of Council’s Operational Plan (budget). Council also has to follow tendering requirements for plant with a value of more than $150,000 and seek quotations for less expensive plant. The need for the Committee is queried. Council has a policy of permitting authorised and licensed motor vehicles to gain access to designated beach areas in the Shire and the Committee meets to address the implementation of the policy including standard of access, signage, repairs to access, fees etc. At Council’s meeting on 15 September 2011 it was resolved that Councillors Ainsworth, Court, Flack and (the late) Moran OAM be appointed to the Vehicular Access to Beaches Committee with the Mayor as ex officio. That Councillors xxxxxxx, xxxxxxxx, xxxxxxxxx and xxxxxxxx be appointed to the Vehicular Access to Beaches Committee with the Mayor as ex officio. The Committee comprises five Councillor representatives, one of whom is the Mayor as ex officio, appropriate Council officers and Honorary Rangers. At Council’s meeting on 15 September 2011 it was resolved that Councillors Ainsworth, Court, Flack and (the late) Moran OAM with the Mayor as ex officio be the designated Council representatives. The Committee comprises all Councillors, the General Manager, the Assistant General Manager Engineering Services; Manager Water and Sewerage; a representative of the NSW Office of Water; and the NSW Public Works Project Manager for the Bowraville off river water storage. The Committee was constituted to provide oversight for major water & sewerage capital works. In the context of the planning work underway for Integrated Water Cycle Management Strategy; the off river water storage at Bowraville and the upgrade of the Nambucca Heads sewage treatment plant, this Committee has important responsibilities. The Service Level Agreement between Nambucca Shire Council, Kempsey Shire Council and the NSW Rural Fire Service requires an active Zone Liaison Committee to monitor the performance of the Agreement. Council is required to nominate the first two members. 1 That Cr xxxxxxxxxx be Council’s representative on the Zone Liaison Committee (Rural Fire Service). 1 That Councillor Ainsworth be Council’s representative to the (Lower North Coast) Zone Liaison Committee. 2 That Council appoint the General Manager to the (Lower North Coast) Zone Liaison Committee noting that it is intended to delegate this role to the Director Engineering Services. Council has many other Section 355 Committees managing Council facilities and also staging community events. At Council’s meeting on 19 March 2009 it was resolved that a roster be developed for the attendance of either Councillors or the General Manager at the Annual General Meeting (AGM) of each facility or event Committee of Management. At Council’s meeting on 19 March 2009 it was resolved that a roster be developed for the attendance of either Councillors or the General Manager at the AGM of each facility or event Committee of Management. Committee operating with few volunteers. Owes $5,645 in excess water charges. New event being developed. Review need for Committee in 2013. (*) Denotes that Council has not received minutes from an Annual General Meeting or financial statements for several years. The Executive Assistant has written to all of these Committees twice seeking AGM minutes and financial reports with no response. Where there is no evidence the Committees are functioning it is recommended they be abolished. It is recommended that Council continue with two (2) Council meetings per month, being one Council meeting on the last Thursday of each month (an evening meeting commencing at 5.30pm) and a full day meeting commencing at 8.30am on the Wednesday two weeks and one day before. The timing of the meetings is less important. Whilst it is recommended that the previous arrangement continue, the first meeting of the month could be on a different day and/or start in the afternoon to allow for inspections before the normal scheduled 5.30pm meeting in the Council Chambers. 1 That Council continue with two (2) Council meetings per month, being one Council meeting on the last Thursday of each month (an evening meeting commencing at 5.30pm) and a full day meeting commencing at 8.30am on the Wednesday two weeks and one day before. 2 That there be six (6) “away” meetings in 2013 at Missabotti, Warrell Creek, Nambucca Heads, Valla, Burrapine and South Arm. The frequency and timing of Council meetings is a matter for Council. Council had traditionally operated with two (2) Council meetings plus one (1) General Purpose Committee per month. The Council meetings were evening meetings commencing at 5.30pm whilst the General Purpose Committee was a day meeting. The primary purpose of the General Purpose Committee (formerly known as the Works Committee) was to facilitate inspections and consider policy matters. The recommendations from the Committee would then go to the following Council meeting for adoption. A review of the organisation undertaken in late 2011, commented that Council had an excessive number of meetings and recommended a reduction in meeting frequency. Subsequently in 2012 Council has trialled having two (2) Council meetings per month (and no General Purpose Committee), with one meeting being a day meeting to accommodate inspections. Two Council meetings per month is a reasonable meeting frequency to manage the affairs of an organisation which has planned expenditure of $69.9m in 2012/2013. A single meeting per month would result in an excessively large business paper, a very long meeting, a slower turnaround of applications and responses, and by necessity an increased use of delegated authority. Two Council meetings per month also largely avoids the need for extraordinary meetings called at short notice. Consequently it is recommended that Council meeting twice per month. At Council’s meeting on 28 June 2012 it was resolved that new meeting arrangements continue subject to a review by the newly elected Council post the 8 September local government elections. The background to the matter is that Council at its meeting on 1 March 2012 resolved to trial new meeting arrangements. The trial came about following criticism in an organisation review report about the number of Council meetings. The suggested trial also moved one Council meeting to the last Thursday of the month to make it easier for Council to comply with statutory financial reporting which requires quarterly operational plan reviews to be undertaken no later than two months after the end of the quarter. There is also a reduction in cost (meals, overtime, Councillor expenses, printing etc) in changing from two Council meetings and a General Purpose Committee meeting per month to just two Council meetings per month. Council resolved to trial for three (3) months having one Council meeting on the last Thursday of each month – an evening meeting commencing at 5.30 pm - and a full day meeting commencing at 8.30 am on the Wednesday two weeks and one day before. There have been some issues in scheduling particularly for the Wednesday meeting when inspections have to be scheduled in addition to normal business. In addition, the Wednesday morning meeting has not suited some members of the public who wish to attend but have work commitments. Other than that, the trial has not presented any issues. It is impossible to provide a system which will satisfy the many different stakeholders in a cost effective way. From a staff perspective, the second monthly meeting being on the last Thursday of the month is ideal for meeting Council’s statutory reporting obligations. The reduction in the number of meetings also reduces the time committed by staff to preparing agendas and attending meetings. With the reduction in Council’s office staff this is a more important consideration than before. The first meeting of the month could be on a different day and/or start in the afternoon to allow for inspections before the normal scheduled 5.30pm meeting in the Council Chambers. An evening meeting is likely to be preferred by residents. In relation to the first meeting of the month, different arrangements were previously discussed with Councillors. Councillors have to be generally available and therefore, a consideration is their business commitments. With the election of the new Council, it is timely for Councillors to consider their meeting arrangements. It is proposed that there also be a series of “away” Council meetings in 2013 visiting a number of our rural communities to increase Council’s profile and engagement with the community. A series of “away” Council meetings were conducted in 2011 as part of the community engagement strategy for Council’s Integrated Planning and Reporting. In general they were well supported by the various communities and were important in contributing to the information Council collects on community priorities. There has been consultation with Council staff. There are no significant social implications. Judging by attendance, the “away” meetings conducted in 2011 were well received by local communities. They reinforce Council’s presence and role in the community. To the extent the “away” meetings contribute to a more cohesive community they are a positive for social wellbeing. There are no significant economic implications. A frequency of two (2) Council meetings per month is desirable for decision making on development applications and economic initiatives generally. Potential risks with having too many meetings or too few meetings are discussed in the report. There is a reduction in cost in operating without a General Purpose Committee. This saving has already been factored into the 2012/2013 budget. There is no impact on working funds. If Council increases its meeting frequency there will be a minor impact on working funds.